One event that has been a staple of the Saturday before Thanksgiving in Southborough is back. 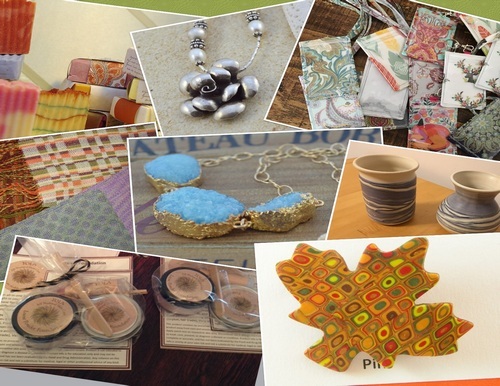 Local artisans will again be selling handmade goods at the Southborough Community House. Holiday Gifts on the Common will take place November 17, from 9:00 am – 3:00 pm. Every year, I’m amazed at the breadth and depth of local talent and beautiful wares. It really is worth checking out. And unlike large trade shows – entry is free. Items are good for more than just gift giving. Spruce up your home for the holidays, soften hands dried out by the cold, cozy up your room with beautiful quilts, or accessorize for an upcoming party. This year’s goods on sale include: Jewelry; Pottery; Baskets; Quilts; Weaving; Notecards; Assorted Christmas and seasonal décor including sleds, wreaths, greenery, ornaments, and snowmen; Handmade skincare products, soaps, lotions, and lip balms; and Wood carvings.